If the Ford Maverick is the little known step brother of the Mustang, it's cousin the Mercury Comet is even more obscure. 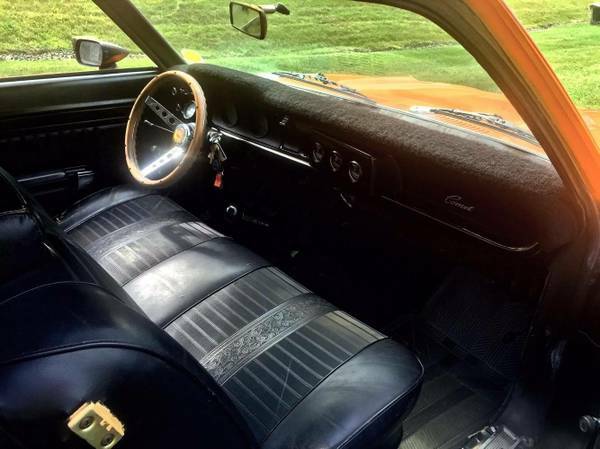 The Comet GT trim level was the muscle car trim package that upped the ante with the 302 V8 engine. These cars were originally conceived as import fighters, but in reality duked it out for sales with the Chevy Nova and Dodge Dart. 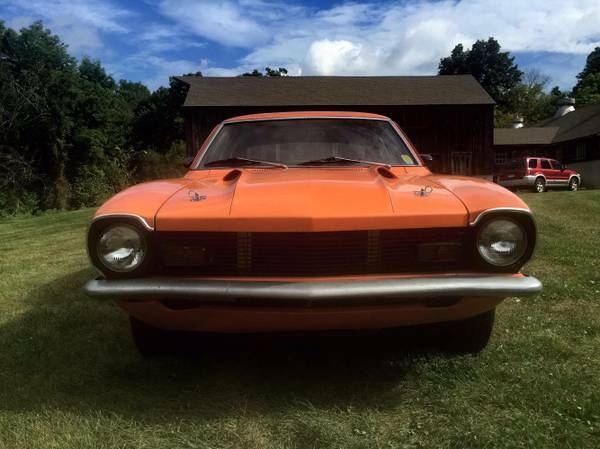 Find this 1971 Mercury Comet GT for sale in Brookfield, CT for $7,000 via craigslist. This orange colored Comet has been very well cared for and given several power upgrades. The seller has owned the car for six years and has always garaged the car. 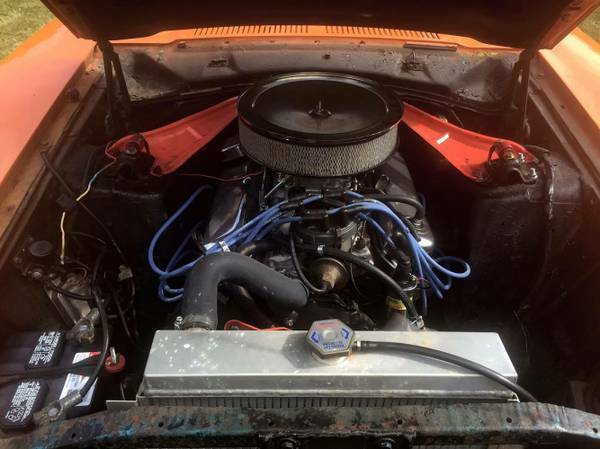 The 302 V8 now breathes through 600 cfm carb, upgraded intake manifold, larger air cleaner, dual exhausts, and has the 4 speed manual transmission. Other maintenance related items replaced include: new tires on Cobra rims, bigger radiator, master cylinder, upgraded valve cover and gaskets, distributor cap and rotor, headlights, original wood steering wheel, starter, battery, alternator, shocks, fuel filter, and thermostat. The dash appears to have seventies shag carpeting on it. 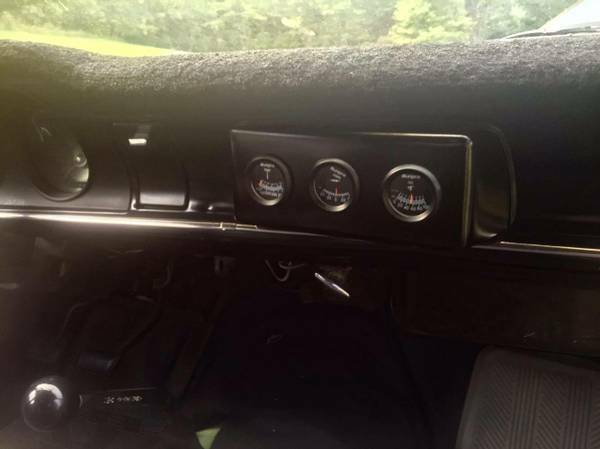 The auxiliary gauge panel appears to be a nice upgrade on first glance. However, on closer inspection it appears the three gauges are upside down (this could be a optical illusion or the author is off the mark). Cory is about to list his C36 AMG swapped 1995 Mercedes wagon for sale and is already started in on a C36 swap on a 1991 Mercedes 300ce coupe. It has a Maverick Grabber front end. My first car was a 76 Maverick Stallion. It had menacing horse logos on the front fenders. Well, I guess I will be the voice in the wilderness. I think the Maverick/Comet design aged well, and is more attractive than the contemporary Mustangs. This car has the good looking smaller bumpers. And with this drive train, this thing could be fun to drive. Grab just about any Mustang performance catalog, and a cup of coffee. The sky's the limit. I would swap out that bench seat for buckets, however. This car always seemed more like the Australian version of Ford performance. Properly proportioned for 2, cozy for 4 and a V8 up front. I agree with Bobinott, I've been surprised that there are not more really nicely done Comet/Mavericks given the price of a Mustang starter kit. Anyone seen any really nicely developed ones?